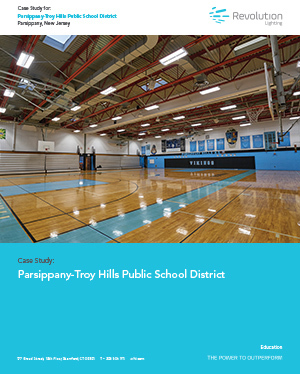 Parsippany-Troy School District - Revolution Lighting Technologies, Inc.
Parsippany-Troy Hills school district chooses Revolution Lighting LED solutions to reduce operating expenses for its educational facilities. The payback period for the retrofit investment was only 3 years. Efficiency for the retrofit areas was improved by 60%. Our convenient and durable direct wire solutions deliver superior light output to create high quality learning environments for students and faculty.